1. Apply clear base gel and cure. Wipe inhibition layer. Optional: Place cuticle tape around the nail bed to reduce clean-up time. 2. 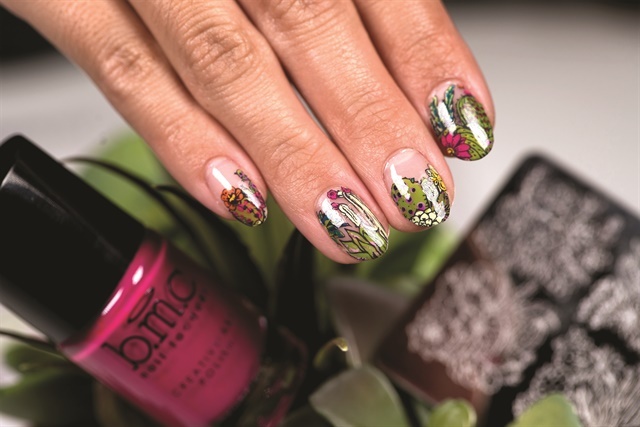 Apply stamping polish (or regular opaque polish) onto nail plate BM-S327, then use your scraper card to scrape away the excess polish. 3. 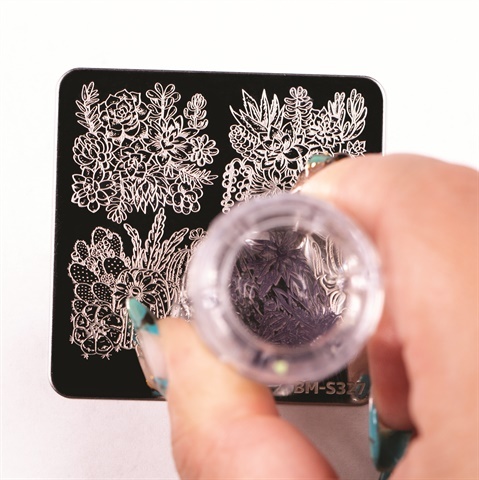 Using a clear stamper, quickly pick up the stamped image. 4. 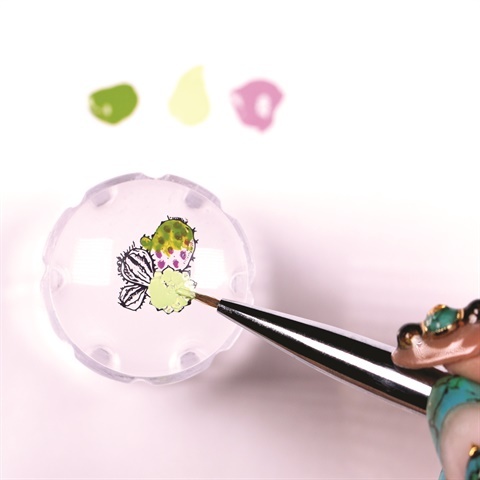 Next, use a nail art brush and polish to color in the stamp. Use a variety of colors to dress up the images. 5. 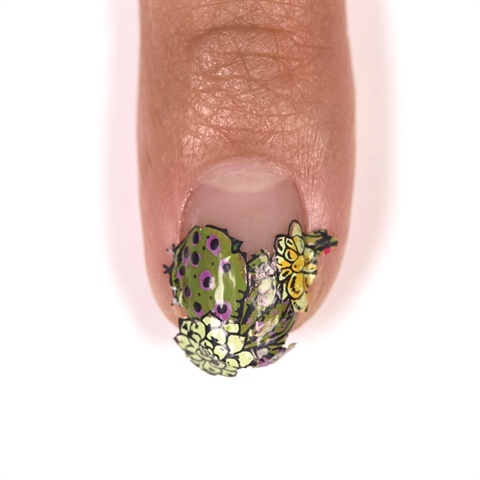 Once the image is semi-dry, stamp it directly on the tip of the nail to create a cute negative space cactus manicure. 6. Use a clean-up brush and acetone to remove the excess stamped polish. 7. Next, encapsulate your art using a thick layer of builder gel over the stamped image. Cure. 8. To finish, apply gel top coat and cure. For more information, visit www.bundlemonster.com.